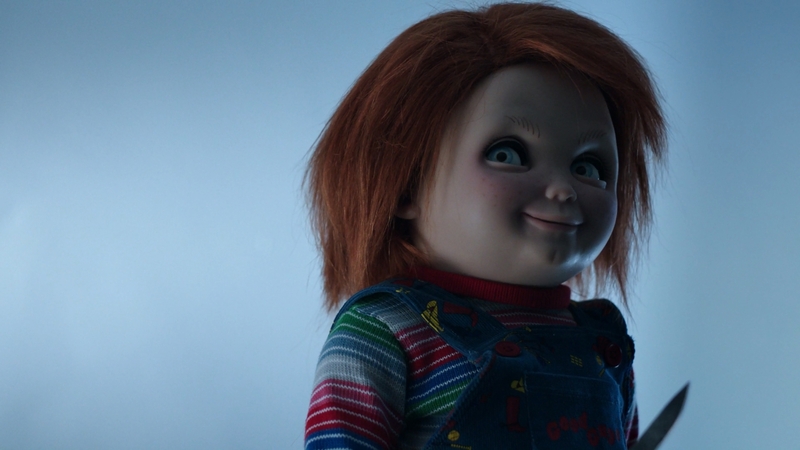 Chucky returns once again in another direct-to-DVD sequel in the long-running Child’s Play franchise. 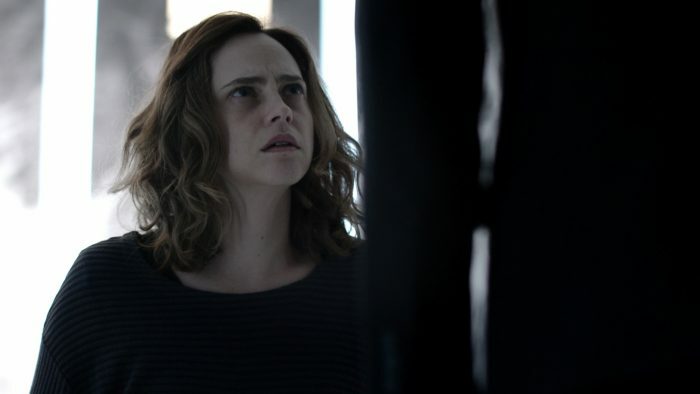 The film follows the previous instalment with Nica (Fiona Dourif) now in a psychiatric hospital after everybody believed she was responsible for Chucky’s killings. She’s even began believing it herself. A few Good Guy dolls make it into the hospital as a therapy doll to help Nica come to terms with what happened. As predicted, Chucky comes alive and begins killing everybody. 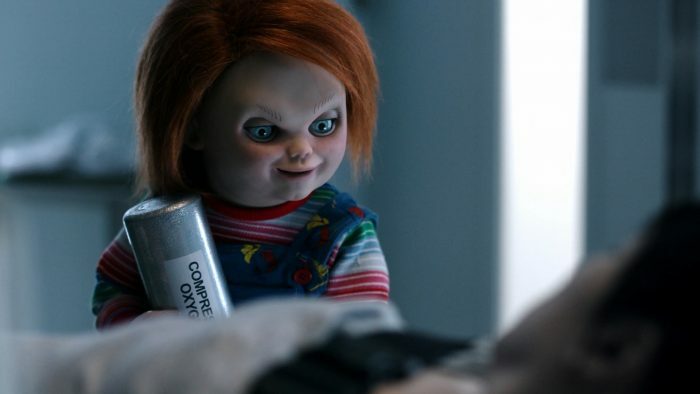 Directed and written once again Don Mancini, the film begins with non other than Andy Barclay, played by Alex Vincent. His scene follows the end credits scene of Curse of Chucky. Andy has been keeping Chucky’s head nailed to a plank of wood and tortures it every now and again for fun. I thought the effects were pretty damn good and Chucky looks absolutely horrific. The film cuts to Nica in the psychiatric hospital and we’re introduced to new characters. We have Dr Foley (Michael Therriault) who tries to help Nica and we’re introduced to other patients Claire, Madeline and Michael. The actor who plays Michael also appeared in Curse of Chucky playing Officer Stanton. Fiona Dourif gives a great performance throughout the film. The rest of the cast are okay. What we do need to talk about is Alex Vincent and Jennifer Tilly. I didn’t like their cameo appearances previously and their whole plotline in this film is completely irrelevant and makes very little sense. Tiffany appears, following from the events of Seed of Chucky where Tiffany transferred her soul into Jennifer Tilly’s body. By the by a cringeworthy line is said by Nica “You look just like Jennifer Tilly!”. *Sigh*. On the outside, Tiffany has been helping Chucky while Andy Barclay gets himself committed to the hospital to kill Chucky. Tiffany seems crazier as ever and it just seems like Jennifer Tilly is over-playing the character too much. Alex Vincent, I don’t mind so much but it’s just fan-service. “Let’s put the characters in there even if they don’t make any sense!”. The film has a pretty unique stylistic tone. The hospital is completely white and sterile – it’s even snowing outside. I guess this contrasts with the massive amounts of blood and gore that Chucky causes. The deaths are pretty gruesome – takes a good 45 minutes before we get to the first one and to be fair, it’s pretty gory and unique. I wasn’t sure at first what Chucky was going to do with the compressed air canister. The other character’s deaths are just as equally as graphic. Brad Dourif returns to voice Chucky. He’s great as ever and there’s some occasional one liners but I didn’t think he had all that much to do here. I didn’t think Chucky was all that funny or scary. 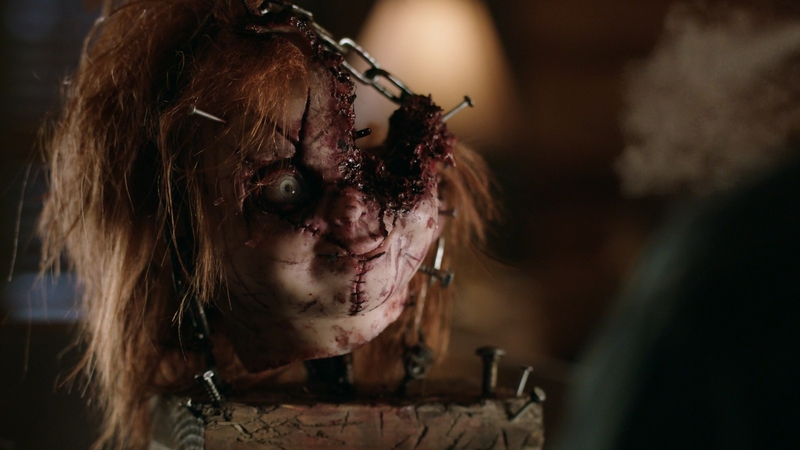 The animatronics and puppetry of the dolls seemed to be a lot better than in Curse of Chucky. A big problem I have with the film is how it changes the mythology. Up until the hour mark, the film is is actually okay, I found it better than Curse of Chucky but within the last 20 minutes, Mancini dug himself into a hole and the film just collapses. The start of the film is a slow-burner, takes plenty of time but in the last 20 minutes, it’s like Mancini just wanted to end the film as quickly as possible. 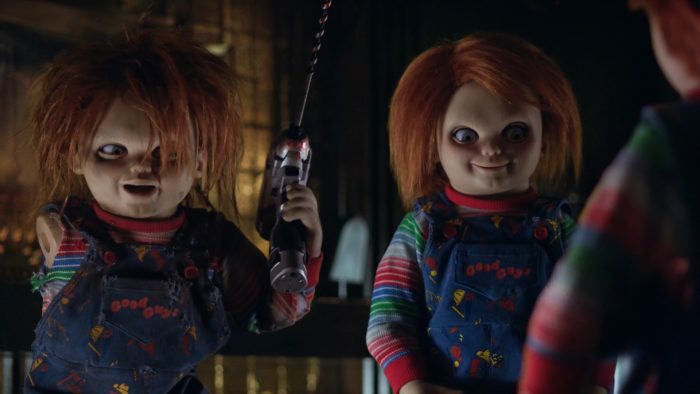 This film marks the first time where we have multiple Chucky dolls running around at the same time which I didn’t like at all. It ruined the anticipation of trying to guess which Chucky doll was alive and which weren’t. To be fair each doll looked a little different but it sort of defeats the whole purpose of what Chucky is doing. This also marks the first time where Chucky has managed to successfully transfer his soul into another person – Nica. I didn’t like it. I know this is what Chucky is trying to do throughout the entire series but it was weird seeing Charles Lee Ray in a woman’s body. And the ending? Chucky as Nica rides off into the sunset with Tiffany with a Tiffany doll in the back seat of the car that is very much alive. Stay after the end credits for a pretty surprising cameo appearance. Kyle from Child’s Play 2 – played once again by Christine Elise appears at Andy’s cabin and begins torturing Chucky’s head. It appears her and Andy were in a relationship at some point. Who knows where the series possibly goes from here. I take my hat off to Mancini for getting the original actors back from the old movies even if plot-wise they don’t make much sense. Sadly, I wasn’t as hot for this movie as other people were. I wasn’t overly fond of Curse of Chucky either. Up until the last act, Cult of Chucky is pretty decent but I don’t like at all how it changes all the mythology. Cult is better than Seed of Chucky for sure but it falls short of Curse of Chucky for me. I’d give it 2.5/5.